Salt Point is a favorite spot for hikers, campers and abalone divers, alike. 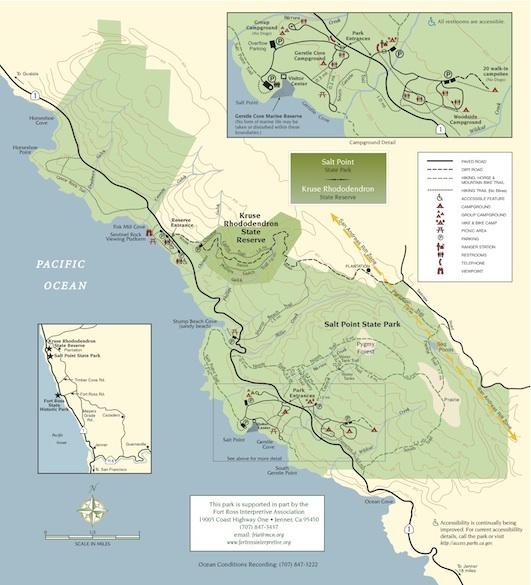 Its 6,000 acres of rugged beauty, range of terrain and biotic zones, and variety of uses, all accessible via 20 miles of hiking trails and 6 miles of coast, make this park the premier experience of the Sonoma County coast. The majority of the park is covered in forests of redwood, tanoak, pine and fir, with the balance split between grassland meadows and brush. A rare pygmy forest of stunted pine, cypress, and redwood can be found here. Equally unique are the natural sandstone formations, particularly the tafoni, found along the bluff trails. Salt Point encompasses one of California’s first underwater parks, Gerstle Cove Underwater Reserve as well as extensive tide pools. Salt Point State Park is one of a very few state parks that is open to mushroom collecting. 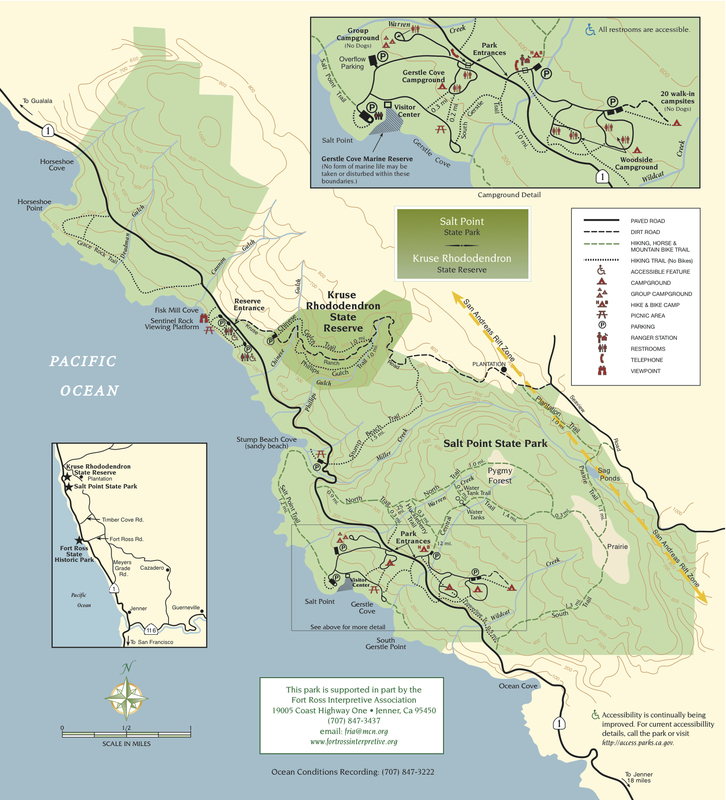 Check the Official Salt Point State Park Website for additional details on park closure information.